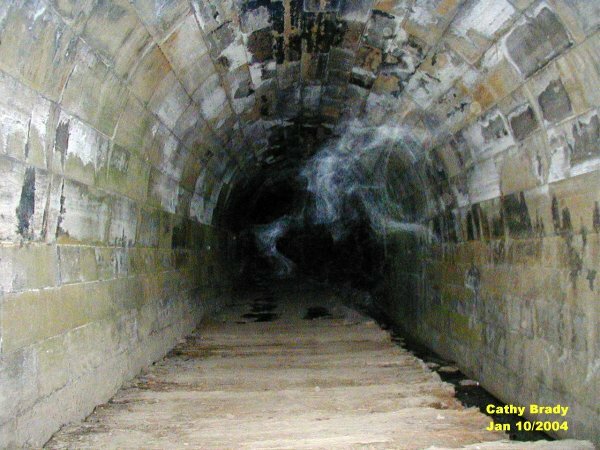 Cathy had taken this one looking towards the entrance of the tunnel and again some ecto mist was forming. 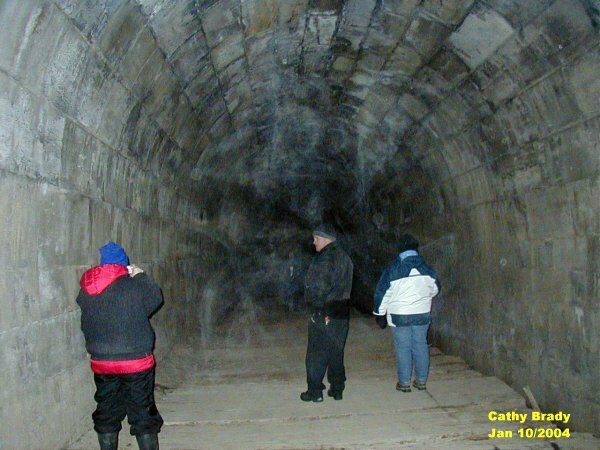 Cathy was deep inside the tunnel and took this picture. 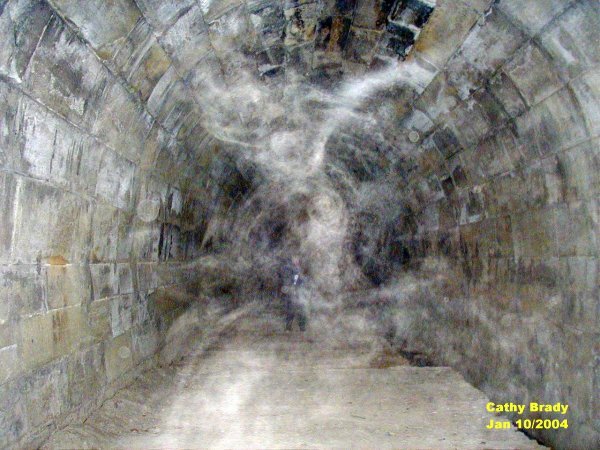 This one shows a spirit that appears to be jumping from the right of the tunnel above her. This spirit was in ecto plasm form. 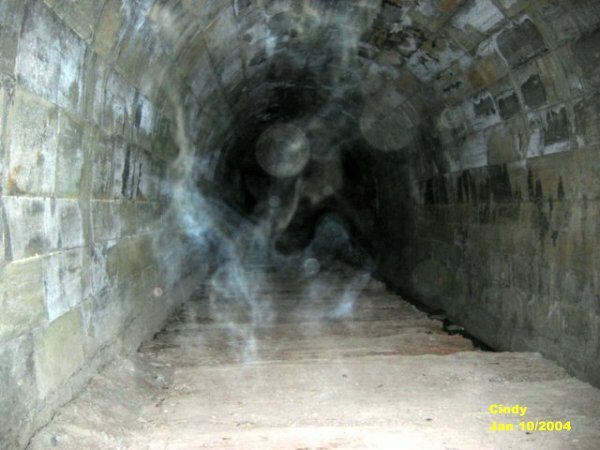 Some energy strands of a spirit within the tunnel. Cathy took this shot of Cindy, Wendy and myself in the tunnel. It shows some spirit forms ahead of us. 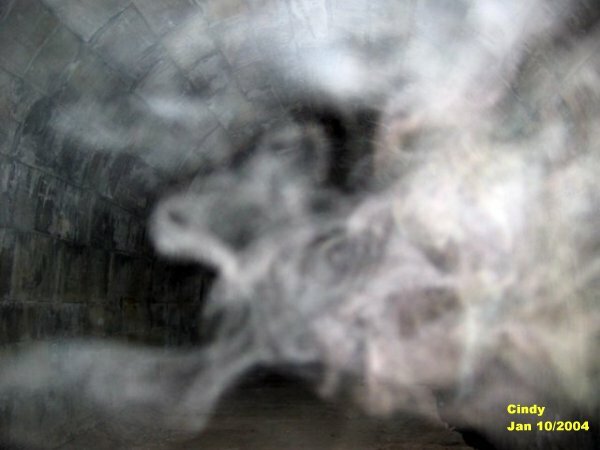 In the center of the ecto mist a form was taking shape that appears to be a skelton wrapped in a robe. Just above it was a winged demon that had its hand around the skelton's neck as though to spin the skelton in the robe around. Is there evil that dwells in the tunnel, or is this a gateway from the otherside??? 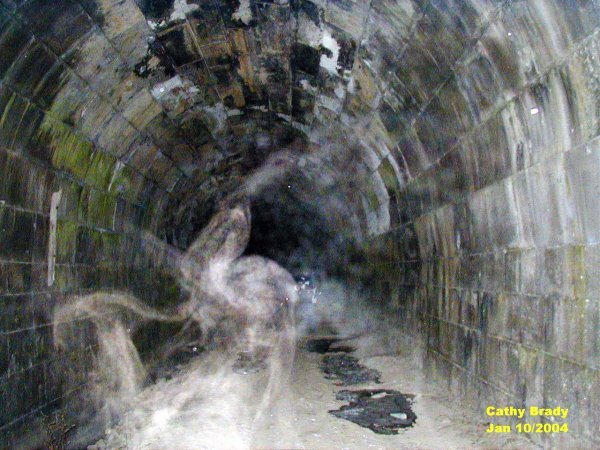 There appears to be more than just spirits from this world that do dwell at the Blue Ghost Tunnel. 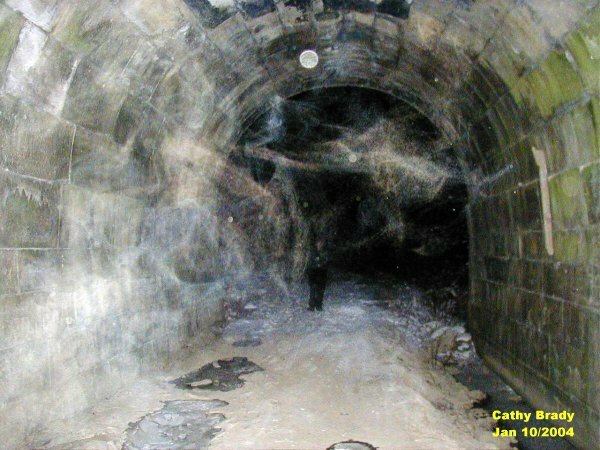 This photo gives one second thoughts of what types of spirits can lurk around the tunnel. In this photo you can make out some sort of winged creature that was forming. It had a large neck to it yet the head was very small. 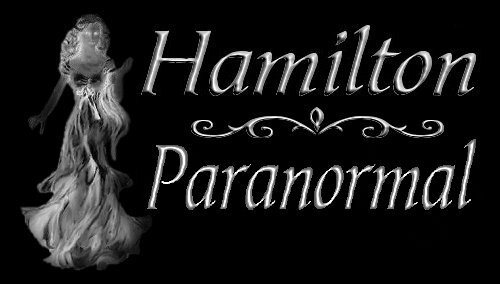 This type of spirit is one that reminds me of a creature that might appear in a nightmare or horror show. Whatever this spirit was, it was not of this world. This photo that Cindy had taken shows a BIG dog complete with eyes and even the wrinkles around the eye of the dog. In the next picture we have outlined the dog so you can spot it right away when you view the dog without the trace lines. The dog's head seemed to be resting on a dark shadow's knee. This photo shows a spirit of an animal in fine detail. This is the outline of the dog in the previous photo to help guide the viewer to see the dog. 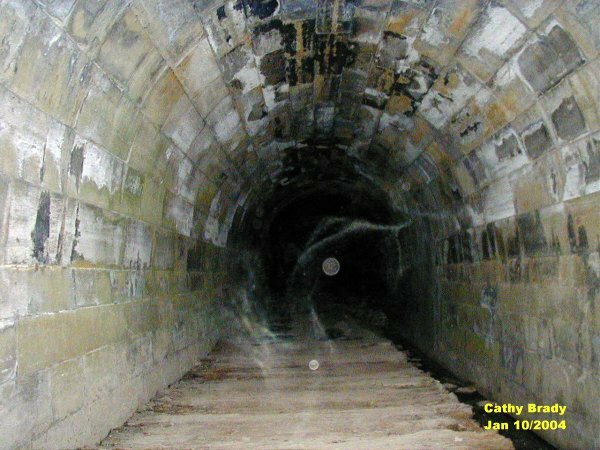 Some blue ecto plasm that was forming in the center of the tunnel. In the back it almost appears as a figure of a person waving.